Harini Suresh won 2nd place for the 2016 commitment award with her project titled “Save our Future”, a project that seeks to spread awareness about the consistent issue of child sexual abuse in the city of Chennai in India. 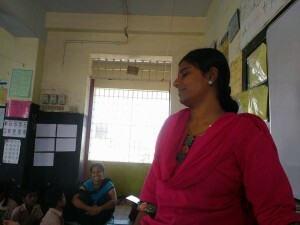 Harini has designed this project to work with fellows from Teach For India, with their assistance the aim is to engage with 40-50 government schools and low-income private schools. The fellows from Teach For India will be provided with a complete set of lesson plans breaking down this complex issue into simpler units. In addition, college volunteers will go to their neighboring community every weekend (four weekends/neighborhood) and will conduct sessions for the adults. This endeavor undertaken by “Save our Future” will utilize various teaching methods to help teach children about sexual abuse and how to protect themselves. “Save our Future” will create instructional videos to explain the concepts included in the course in both English (for the children) and the local language Tamil (for adults in the community). Additionally, the initiative seeks to create child-friendly literature that will be used in reading comprehension classes and to create/find safe spaces for affected children. Harini comes well-prepared for the challenge that lies ahead, as she spent two years working as a Teach For India fellow, polishing her organizational, people and leadership skills. These skills are complemented by Harini’s experience implementing a self-sustaining community center project fostering adult literacy, promoting basic hygiene awareness and environmental issues. By undertaking this project Harini gained hands on experience approaching and engaging various local actors, an asset that will come in handy while implementing the “Save our Future” project. 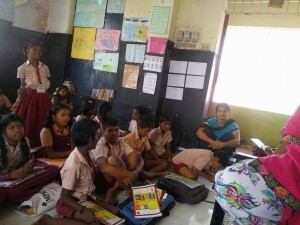 These are the pictures of one of the sessions which happened at the Corporation Primary School, Koyambedu. Three sessions have happened so far. 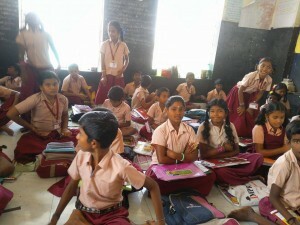 One at this school, one at a low-income urban community called new colony and one at Annai orphanage in Ambattur. Curious to learn more? Check out the Save our Future’s youtube videos!